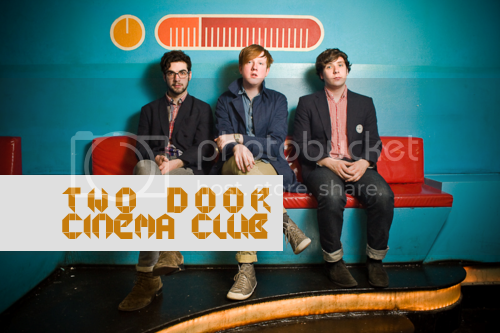 Northern Ireland’s three piece Two Door Cinema Club has been providing the more joyful and energetic tunes around here lately. The happy and sunny outlook these guys dish up in their latest release, Tourist History is all I seem to be craving for. 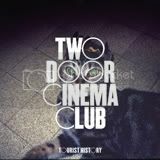 Although their brand of indie-pop offerings may sound a tad bit familiar, you’ll soon discover that it’s because of the familiarity that listeners are immediately drawn in into the youthful and exuberant world of Two Door Cinema Club. Sure they sound like most bands that’s already around these days. In fact here are a few bands I was reminded of when listening to these guys; Foals, Delphic, sometimes Bombay Bicycle Club and even the Little Ones. But the more you let the songs speak for itself, the more the tunes really begin to take shape into the band’s own unique style. Tourist History is simply strewn with thrilling electropop gems, but it’s from the third track when the record truly starts to take off. These are songs that are both ridiculously optimistic and uplifting. Filled to the brim with addictive hooks and jangly guitars, this young group sure has a way of crafting instantly catchy and danceable melodies. Here’s my favourite track of their record. Enjoy!